Golf Australia have announced that the 2015 Emirates Australian Open will return to The Australian Golf Club in Sydney after a hugely successful staging of the championship last month. Golf Australia chief executive officer Stephen Pitt said the decision to return to the 2014 host had been an easy one to make for all concerned. With world numbers one and three, Rory McIlroy and Adam Scott, and eventual champion Jordan Spieth all featuring prominently throughout the event, gallery and television viewer numbers were at very healthy levels all week. Host broadcaster Channel 7 reported an increase in ratings around Australia for the 2014 championship – remarkable given their surge with the dramatic 2013 finale where McIlroy pipped Scott at the final hole to win the championship at Royal Sydney. 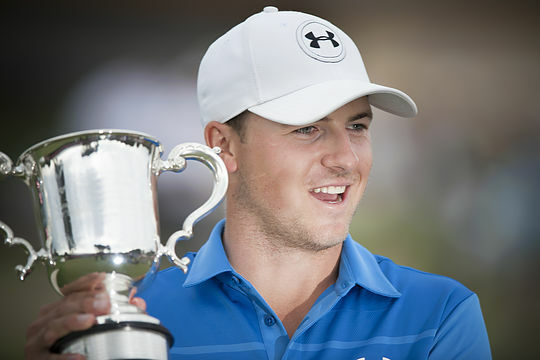 The 2014 Emirates Australian Open reached almost 2.7 million viewers across the four days with a peak of more than one million for Sunday’s final round, where Spieth shot an incredible 63 in one of the best rounds ever seen at an Australian Open. The four day average of 25.3% made it the most-watched program in its timeslot. “The overwhelming feedback we’ve had from players and sponsors is that they’ll be delighted to go back in 2015, so we’re thrilled to be able to make that happen.” Pitt said.